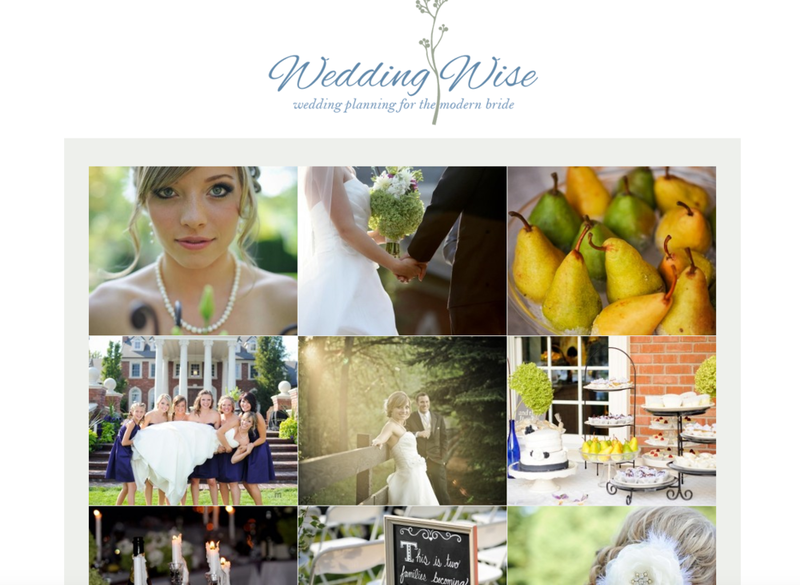 Congratulations to Wedding Wise!! LOVING The New Look! 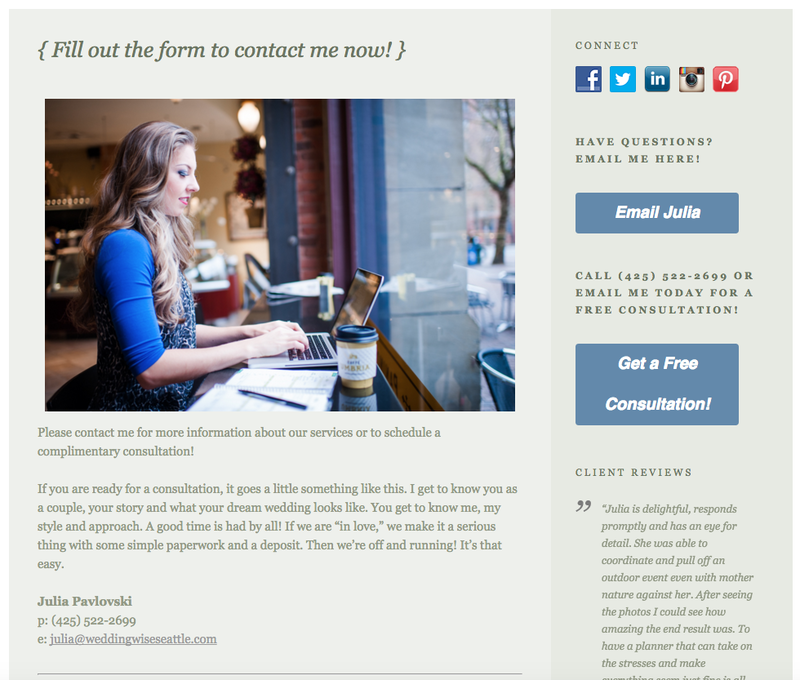 I was so excited when Julia called me to redesign her website for her Seattle wedding planning company Wedding Wise. 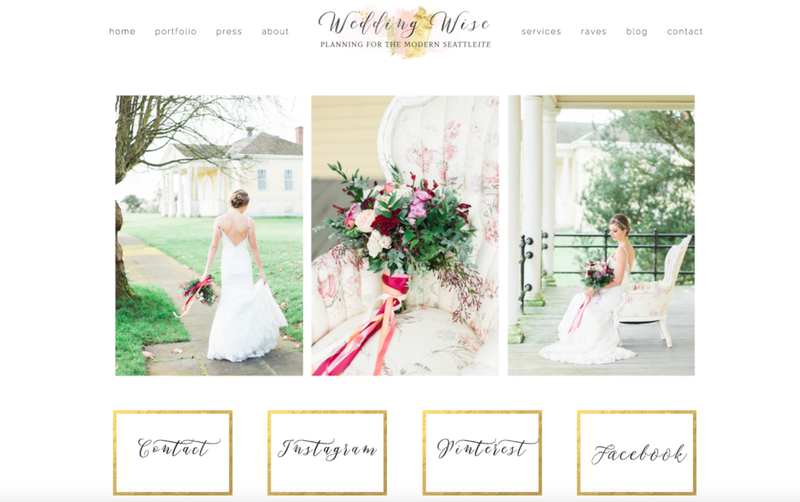 Her look definitely needed updating and because her website wasn't optimized for mobile devices - it was necessary to make that happen! 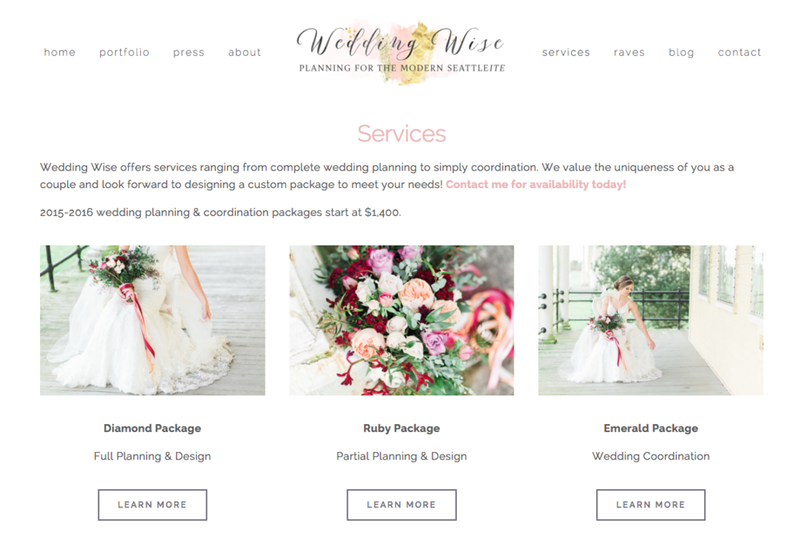 Julia shared with me her goals for the 2016 wedding season and one of those goals included reaching a higher budget market then what she was currently seeing ... she wanted a website that was clean, made sense, and was well branded ... 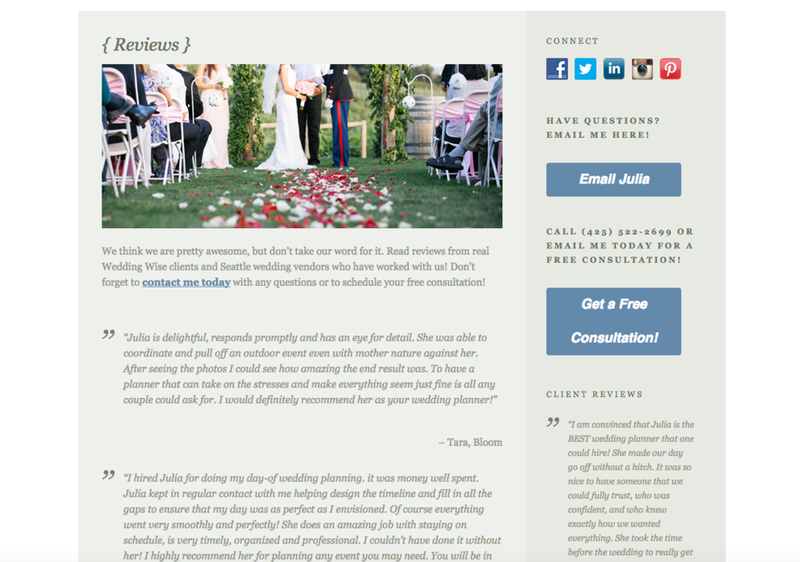 I was honored to help her achieve that and am excited to see how the 2016 wedding season changes from before! Congrats, Julia!!! I love your new look! I Was Asked Back as a Speaker for Pen to Press! 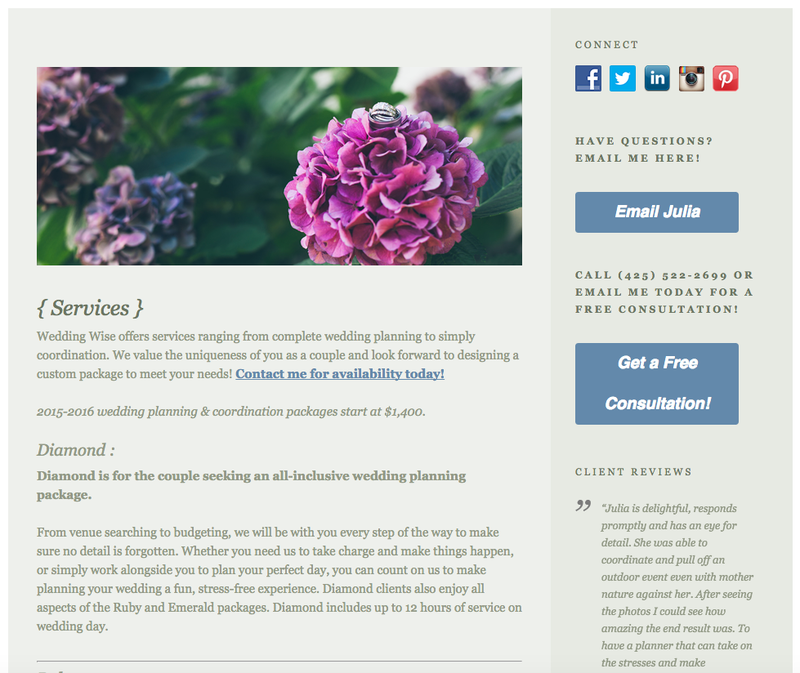 I Just Designed A Website In Under 5 Hours ... Congratulations, Mad Chicken Studio Boudoir!